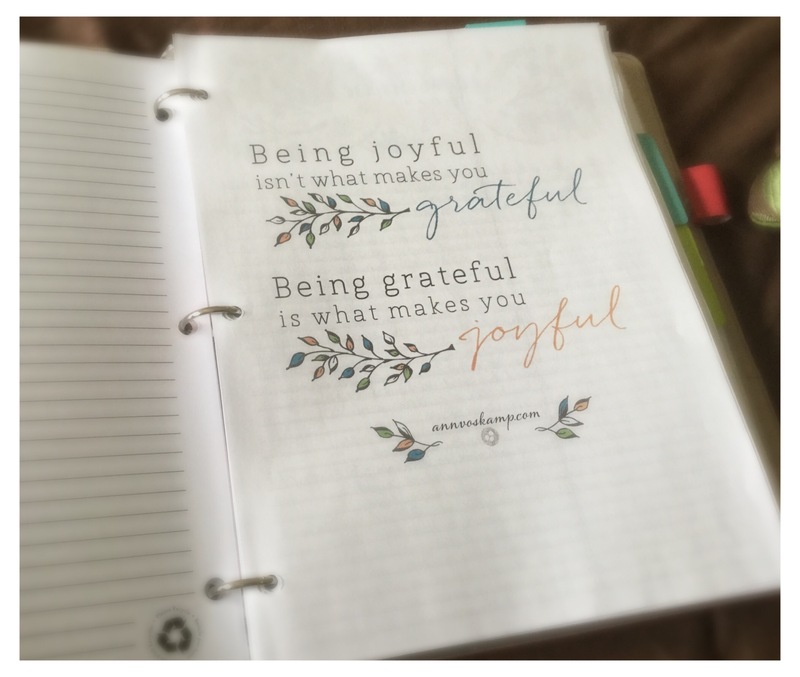 Last year one of my goals was to take the Joy Dare and follow along with counting one thousand gifts using Ann Voskamp’s printables. She gives a suggestion each day for finding three gifts to give thanks for. Well, to sum up, it was a bust. I just couldn’t keep up. I didn’t make it enough of a priority I guess. Anyway, at the start of this school year, back in September, I set my sights a little lower. I knew I wanted gratitude to be a part of my daily rhythm, but I wanted it to be simple enough that it would not get neglected when things got busy. I remembered I had downloaded some cute planning pages from Snapfish a long time ago, and I knew they would be perfect. There is just one line for each day of the month. So I put the pages for the school year months right into my homeschool planner. It is the first thing I turn to every morning when I am skimming the day’s plans after my quiet time…before the rush and work of the day begin. I simply write a one line thank you prayer or list a gift I am especially grateful for in that moment or from the day before. It is one of the things in my morning routine that I look so forward to. It’s simple, but it sets the tone and opens my eyes and heart to God’s blessings as I head into a new day. Sometimes it’s just giving thanks for a beautiful sunrise, a bird I see swooping outside my livingroom window. Sometimes it’s something practical like a delicious meal or a comfortable bed. Sometimes it’s a melt-my-heart-moment with one of my kids. Sometimes it’s a smell, a scene, a good book, a memory. 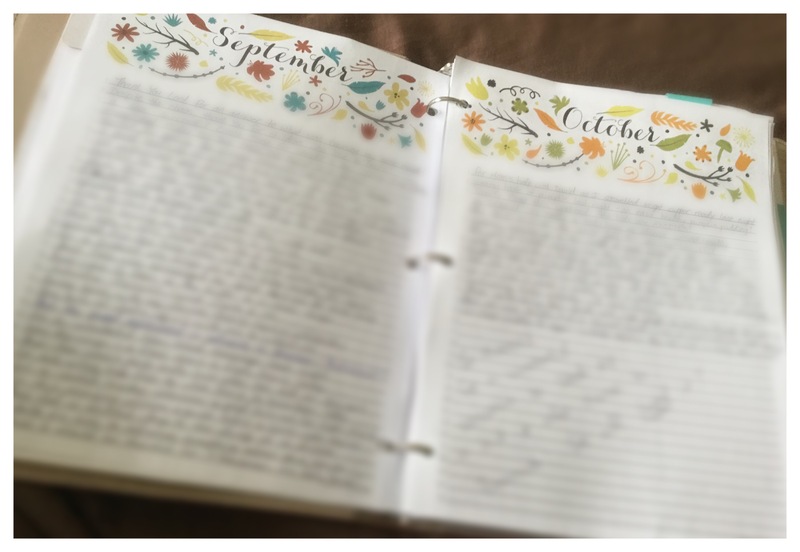 As the months have hurried by, I find I enjoy reading this little gratitude log. It is a fast motion diary with a built in attitude adjuster. Everything written on every line was recorded with a sense of thanksgiving. Even on the tough days I force myself to look for ways to say thank you to God for how He will provide. When I think about what paperwork I will save and what will get tossed at the end of the school year, I know beyond a doubt that these pages are the most precious record of our school year. They will tell the story of our hearts as a family when I look back on them in years to come. No doubt these daily one liners will make me laugh. And they will make me cry. I will treasure these pages forever! What a treasure–these are beautiful pages with beautiful memories too. 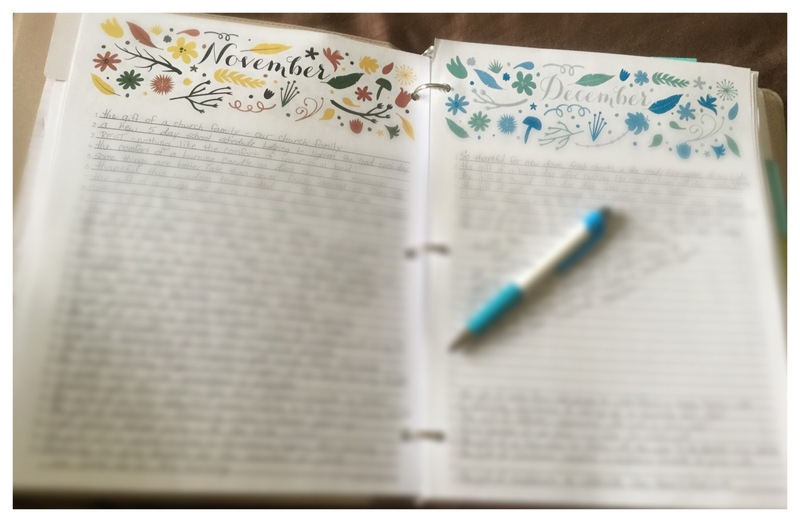 Such a great way to chart the highlights and blessings of your year.